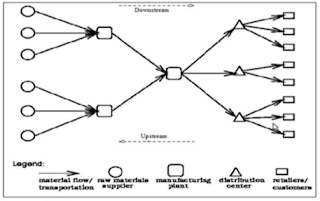 Supply chain management typically involves supervising the transfer of products and goods, such as from a supplier, then to a manufacturer, a wholesaler, a retailer and finally to the consumer. Cloud computing refers to the practice of using a network of remote servers hosted on the Internet to store, manage and process data, rather than a local server or a personal computer. The cloud architecture includes a pool of virtualized computers, storage and networking resources that get aggregated and launched as platforms to run workloads and satisfy their Service-Level Agreement (SLA). It encapsulates a layer of software and provides it as a service that can be used to build higher-level services. There are at least two perspectives on PaaS depending on the perspective of the producer or consumer of the services: Someone producing PaaS might produce a platform by integrating an OS, middleware, application software, and even a development environment that is then provided to a customer as a service. Someone using PaaS would see an encapsulated service that is presented to them through an API. It provides basic storage and compute capabilities as standardized services over the network. Servers, storage systems, switches, routers, and other systems are pooled and made available to handle workloads that range from application components to high-performance computing applications. In early pilots SCM using cloud needs innovation and continuous improvement. Testing attitude also needed. and do not require complex integration. This era captures maturing phase, first providers disappears from the market and other invest to grow and improve service offering. Higher focus on core and rather complex processes. Here consolidation phase starts and major player in each category of SCM defined. SCM accept well establish models for usage and payment of cloud based services. Also complex process covered in cloud e.g. 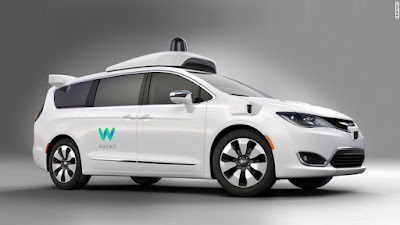 requiring collaboration between many entities and tighter integration with other processes and perhaps involving physical capacity constraints. SCM Cloud offers - “a set of services that provide SCM functions to any cloud user in an efficient, scalable, reliable and secure way”. 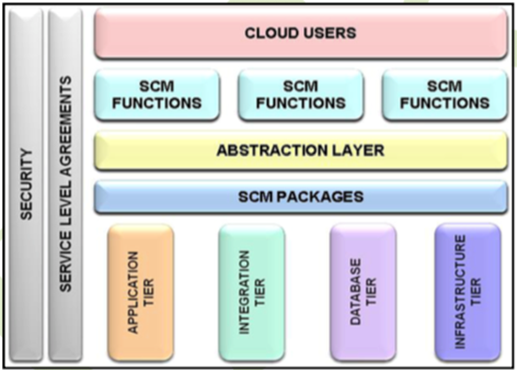 That is, Cloud masks all the heterogeneities involved in implementing various SCM functions and the tiers within each function and provides a purely functional view rather than having to deal with the inherent technologies. The view of the cloud makes us, the service providers the best ones to take the cudgel to implement the CLOUD. We must therefore prepare a pool of requirements and a pool of plausible technologies and create a layer of abstraction to free the user from choosing packages, best-of-breed solutions, databases, integration middleware, and infrastructure and think only about the required functionality and how much he can/should pay for it. 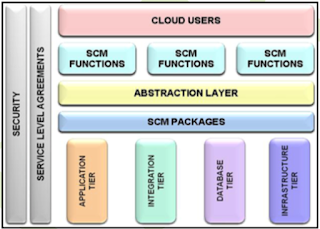 Here is a simplified tiered-illustration of SCM cloud components. Cloud-based tools are available for capturing itemized spends data, performing basic analytics; planning manufacturing runs and executing statistical demand forecasts. Applications focused solely on retail are also prevalent, with capabilities that include planning & allocation, assortment & space, pricing & promotion, and forecasting & replenishment. A primary reason is that planning and forecasting are rarely core components of companies’ ERP systems. Clients therefore can run on manufacturer’s ERP application, but leverage another’s best-of-breed planning/ forecasting application via the Internet. Cloud computing applications for functions such as network strategy, inventory management, warehousing and transportation will appear with increasing regularity in the near future. Processes such as global trade compliance, replenishment planning, order processing, and transportation load building, fleet management and transportation route planning are likely candidates. Some basic warehouse- and transportation-management applications are already available online. Cloud computing represents a great opportunity to reduce ‘total cost of ownership’: the most commonly cited success metric in sourcing and procurement. A key reason is that cloud-based tools are inherently collaborative and accessible – a significant boon to companies that may deal routinely with thousands of suppliers. Take contract management: cloud-based collaboration allows multiple parties to jointly develop supplier contracts. Myriad sourcing and procurement capabilities are rapidly coming online, including procurement report generation, database centralization and supply chain visibility. Process areas: supply chains ‘in the cloud’ are likely to initially take hold in those areas that are on the fringe of what many people consider core capabilities. Processes like global trade compliance, transportation route planning, freight bill audit and payment, and even basic product design engineering are all likely candidates. Markets: since supply chains in the cloud will be characterized by a more efficient way to use services, the most likely early services could emerge in countries with less developed infrastructures. 1. 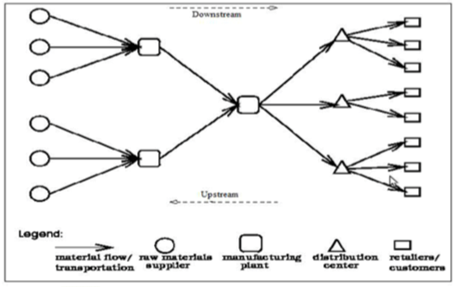 Analysis of Supply Chain Management in Cloud Computing by Animesh Tiwari, Megha Jain. D.Santosh is a PGP second year student at IIM Raipur. He completed his graduation in Automobile Engineering from PSG College of Technology, Coimbatore. He has 22 months of work experience with Mahindra & Mahindra Ltd. He can be reached at 15pgp013.santosh@iimraipur.ac.in.